I've been super busy over the last month working on my next book (!) but I've finished book work and finally had time to create these little beauties that have been dancing around in my head. 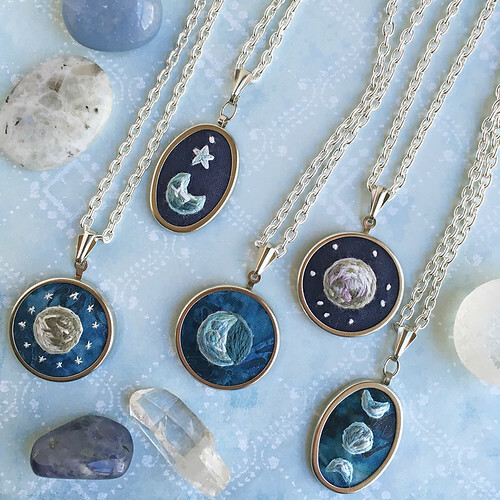 Inspired by the book Many Moons in which a girl wears the moon on a chain, I designed these hand embroidered moon necklaces so that you can take the moon with you wherever you go. 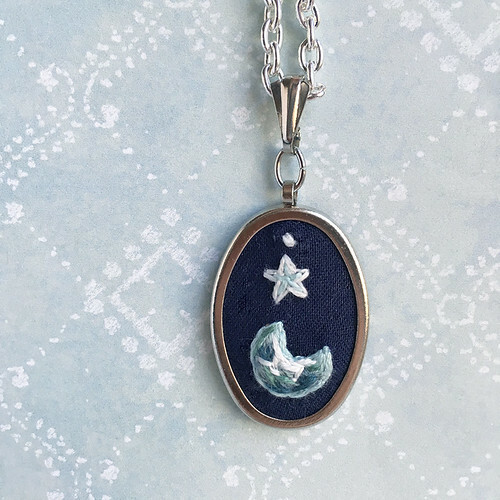 If you love staring at the moon as much as I do, I hope you'll love these as well! 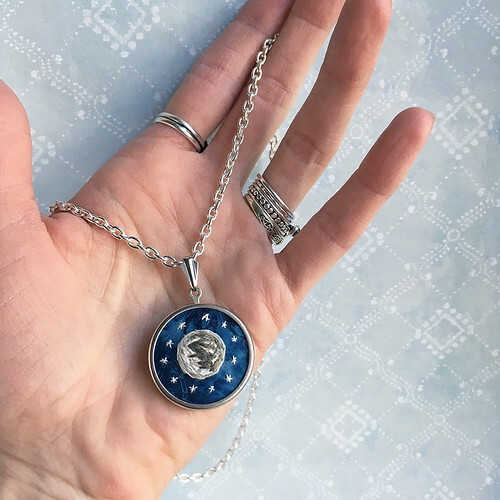 I really love making them and each one is unique.